BlackBerry And Android Smartphone? Here Is What We Know So Far! According to some latest reports and sources, it seems like BlackBerry is gonna team up with Android for a brand new smartphone. I’m not sure whether this is a good news or bad news, I really loved BlackBerry’s QWERTY model smartphones and I’m not really big fan of their touch models. But with Android + BlackBerry’s design, I think we may get something different this time. 1. 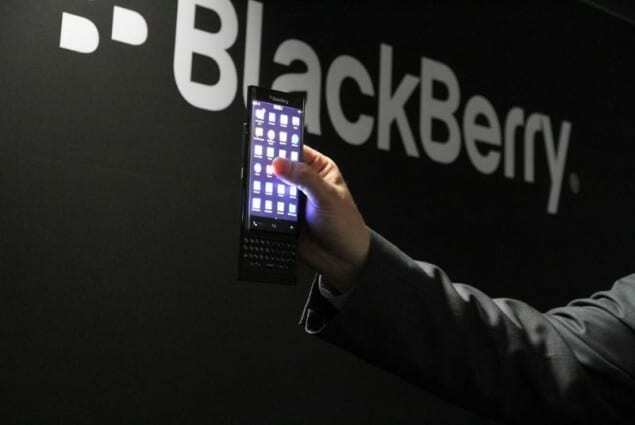 At Mobile World Congress, BlackBerry teased a smartphone which had a curved screen and a fold-out keyboard. So this could be our BlackBerry + Android phone? Maybe it is not the exact model, but more or less the same design perhaps? 2. BlackBerry announced in March that they planned to deliver their patented security, productivity and communication tools to their rivals, which includes Android, iOS and Windows. It is also to be noted that BlackBerry’s popular BBM (BlackBerry Messenger) app was released on their rival platforms – Android and iOS. I’m not sure how this smartphone is gonna turn out, honestly I can’t find a reason to hate BlackBerry, but still comparing it with Android and iOS devices, I feel slightly strange. But, it’ll be really nice to see a smartphone with BlackBerry’s design + Android’s software. Lets hope for the best. What do you think about this peculiar combination? Will you be interested in getting one if it is available? Do let us know your views in the comments below.